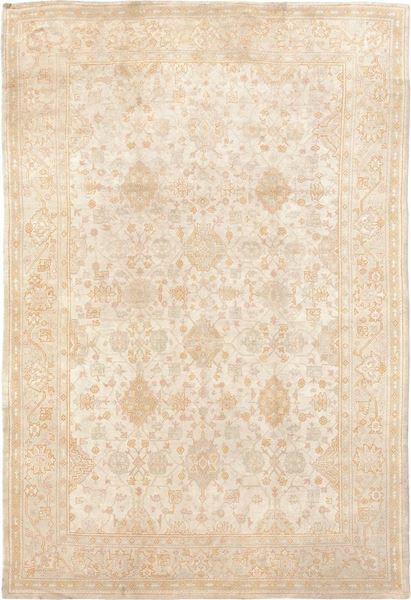 Size: 11' 1" x 16' 0"
Woven with an ivory background, an all over pattern of stylised geometric and floral palmettes connect angular elements with flowering vine. Enclosed by guard borders of stylised lattice and a primary beige border of geometric blossoms and elements, all in variating shades of ivory, beige, gold, caramel, pale pink, celadon and pumpkin. 11' 1" x 16' 0"